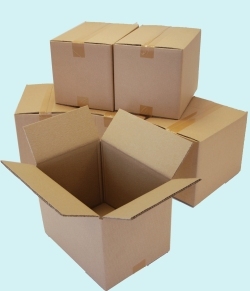 ECOPAC work in partnership with the largest independent manufacturers of boxes and cartons in the UK. Supported by a team of innovative designers and precise technologists, you can be sure that when you brief ECOPAC with your packaging needs you’ll be presented with effective solutions at efficient cost. Brown or white, printed or plain, ECOPAC boxes come in all flute types including single, double and triple wall. From tiny presentation packs to full size pallet boxes, bespoke or from our extensive stock range, with order quantities from 1 to 100,000, the ECOPAC range will cover your requirements.